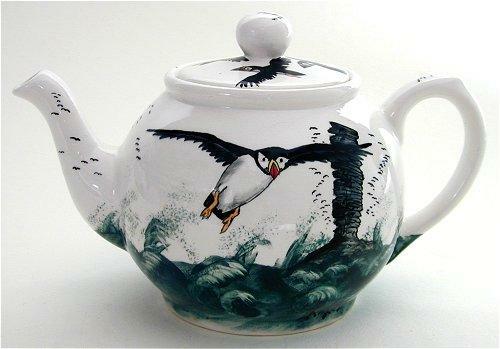 Although these teapots are not hand thrown the unique designs are conceived, hand drawn and individually painted and signed by Angela Glover.All items are hand glazed and fired at the pottery near Lairg, Sutherland,Scotland. 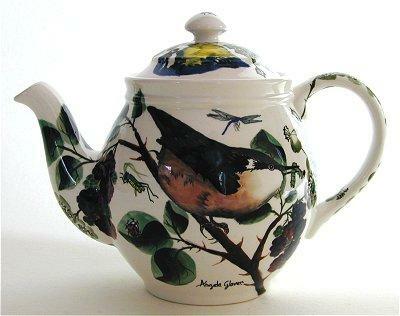 A diffrent bird is on the reverse as well as small birds on the lid. 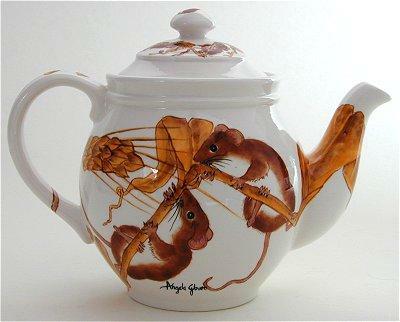 Other mice appear on the teapot as well as the lid.